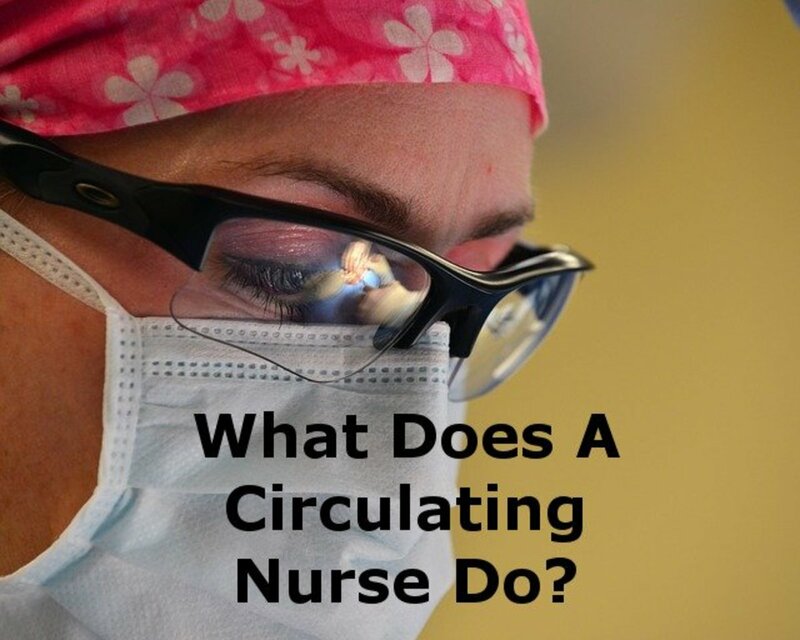 Operating Room Nursing: What Do Circulating Nurses Do? Kari has been an operating room nurse for 25 years. She has been everything from staff nurse to DON. 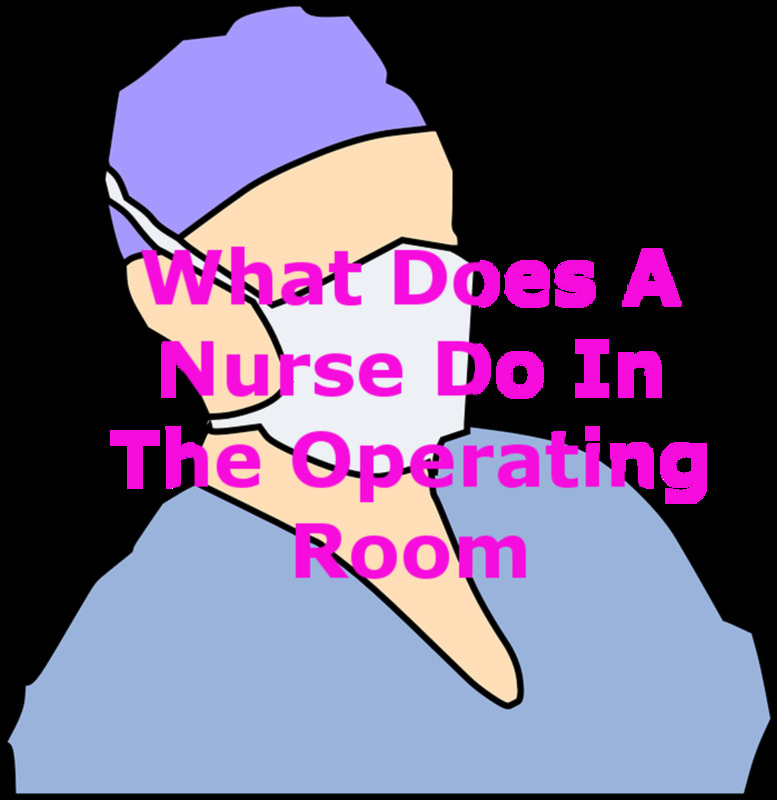 What exactly does a circulating nurse do in the operating room? To put it simply, the circulator choreographs the actions of the surgeon, the anesthesia provider, and the scrub personnel into a coherent and harmonious dance. Circulators control the flow of the room from set-up to the end of surgery. The circulating nurse is a strong patient advocate. S/he is an infection control specialist. The circulating room nurse is a safety expert. S/he is a jack-of-all-trades and a master of many. Circulators are strong-willed but adaptable. What Are the Circulating Nurse's Roles in the Operating Room? Let's start at the beginning. The circulating nurse assesses the patient. There are the usual questions. The "six constants" I call them. We ask name and birth date, looking at the wristband to make sure it matches. We ask if there are any allergies. We want the patient to tell us the surgeon's name and what they are having done. We assess when the patient last had anything to eat or drink. We want to know if the patient has any implants, contacts, dentures, or hearing aids. If the surgery is outpatient, we also want to know who is with the patient to bring her/him home. If the patient is in the hospital already, or the surgery will result in a hospital stay, we still want to know who is with the patient. As the circulator, you will provide updates on how the surgery is progressing to the patient's family/friends. Patients sometimes get nervous because the pre-op nurse, the anesthesia provider and the surgical assistant also ask these same questions. Reassure the patient you have been told the answers by others, but you want to hear the patient say it. On occasion I have had patients give me important information that they had forgotten to mention previously. Nurses always ask the patient if they have any questions. If the question is about the procedure or anesthesia we will get the proper person in to answer. Nurses are not supposed to answer these questions, although they do know the answers. I will usually take time during the pre-operative interview to tell the patient what to expect when we take them back to the operating room. I tell a simplified version of what will happen, but it seems to ease patients' anxiety. Knowing what to expect is very important to people. I will still explain even if the patient has had prior surgery. Assessment is such an important time. It is the time to connect with your patient and let them know that you are watching over them. Circulators usually get about five minutes to get the patient to trust them with their lives. Empathy and excellent communication skills are vital. One of the circulator's most important jobs is that of patient advocate. Since most surgery patients are asleep, it is the nurse's responsibility to speak for them. Many times this can cause strife between circulators and other team members, but the circulator will stand her ground. Nothing is more important than protecting our patients. This protection takes many forms. Infection control is one way circulators protect their patients. Infection control starts with ensuring a clean room at the very beginning and continues (in various duties) until the end of the surgery. Counting all items in the operating room that are small enough to be left in the patient is another job of the circulator. All hospitals have a policy and procedure for counting during surgery. We count before the patient is in the room. We count when the surgeon starts closing. Depending on the size of the incision, we may count three times during closing, or only twice. Circulators are very exacting about counting. Correct positioning is another form of protection. Incorrectly positioned patients may wake up with bed sores or nerve damage. It is up to the circulator to ensure the patient's body is in alignment, all pressure points are padded and the position is anatomically correct. Hopefully, the surgeon and anesthesia provider are actively involved in this process. The time-out falls to the circulator to begin. The time-out ensures that all necessary supplies are in the room and everyone agrees with what is to be done. Circulators always keep the needs of the patient foremost. I have named a few areas where advocacy is very important. All the following actions are done for the patient. It is imperative that the circulator respects the role of the scrub personnel. It is not required that you like all the team members. It is required that you can act civilly and treat them with courtesy. Never forget, you are all in this together. The scrub person is your number one asset. He/she will help you with turning the room over. The scrub will gather equipment, supplies, and instrumentation. Their role is equally as important as the circulator's. The scrub is on the front line whenever something is missing or incorrect. Many times they can act as a buffer between you and the surgeon. It is a requisite that you can work with your scrub personnel. You and she/he are the core of the team. Circulators, as patient advocates, want to hear certain things from the patient themselves. We do receive reports and the other nurses, surgeon, and assistants tell us about the patient. But sometimes the patient will remember something important at the last moment. This is why we always ask patient questions before surgery. Many people do not like to be out of control, and so have enormous anxiety about going under anesthesia. Not knowing exactly what is going to happen causes anxiety. Anxiety hinders memory. The patient's memory may not be working well prior to surgery. I once had a patient remember at the last moment that she had an allergy to something we would have used during surgery. This occurred when I asked if she had any final questions. I was ready to take her to the room and I was glad she remembered instead of suffering an allergic reaction. Another time I asked a patient if she had a ride home. She said, "yes". She told me she had medical transport set up. The transport people would pick up her five-year-old son from school and take her and her son home. On further assessment, I found out that she did not have anyone to help her with her son. One of the things we tell patients is to not cook after an operation. There is always the chance that you may fall asleep from the leftover anesthesia and start a fire. This woman did not know this. She thought she would be fine afterward. The pre-op nurse called her son's school and explained the mom would be there to pick up her son, but may be a little late. The lady lived an hour and a half from the hospital. We then called the medical transport service and asked them to stop by a takeout place to pick up dinner for the woman and her son. We obtained the name and number of a neighbor and called to ask if she could check on the patient a couple of hours after she arrived home. This was in the days before cell phones, which is why the nurses made all the calls. I also needed to convince the doctor to do her surgery earlier so she could make it back home in time to pick up her son. But, with the help of the pre-op nurse, and the post-anesthesia care unit (PACU) nurse, we put all this in place and everything turned out well. Have you ever had the patient give you necessary information at the last moment? 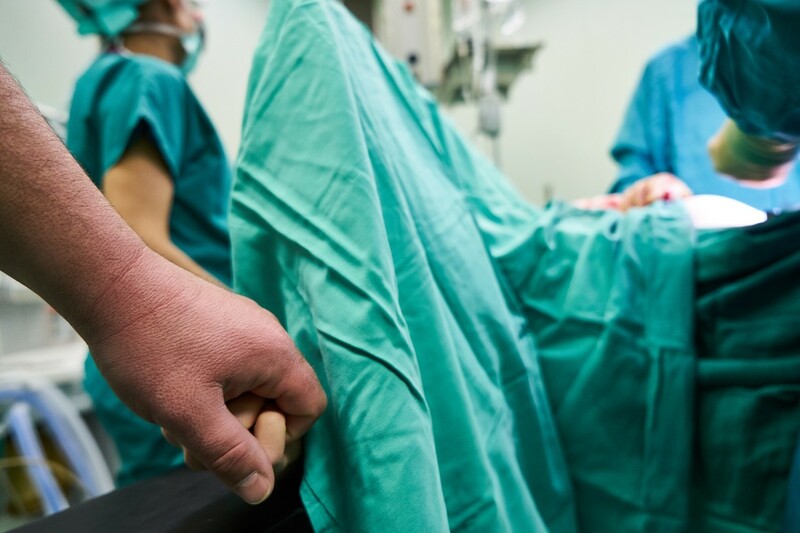 Turnover time is the time between surgeries, when one patient has left the operating room but before a new patient enters. 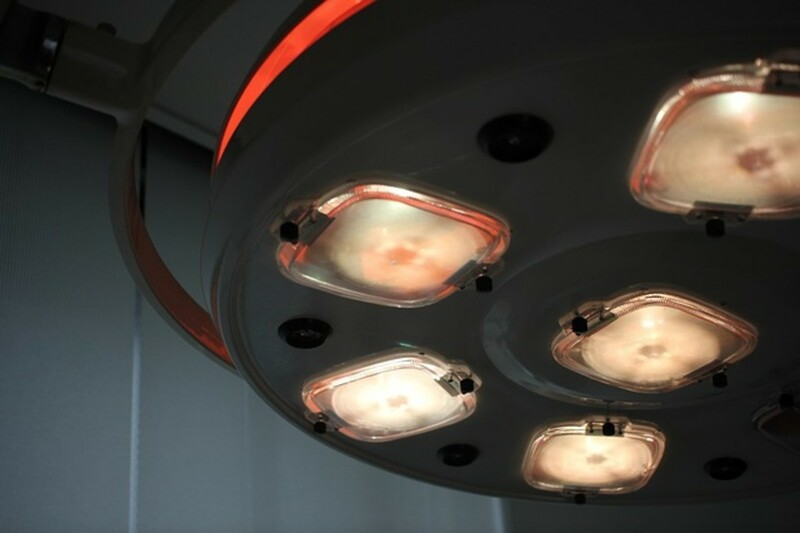 For most surgeries, in most facilities, the turnover time should be 15 minutes or less. Below is everything the circulating nurse has to do in that 15 minutes. After you've read everything, you will understand why thinking on your feet and prioritizing is so important for a circulating nurse. Depending on the facility, the nurse's job in getting the OR ready may differ. I am going to explain how it works in a small hospital, as opposed to a large hospital and/or teaching facility. After speaking with the patient to assess any special needs, the circulator will return to the operating room. Once there, the nurse will give the scrub personnel a report on the patient. If the room is not cleaned completely, the nurse will assist. This may require wiping down furniture and equipment or mopping the floor. We do whatever needs to be done. Once the room is cleaned, the scrub and circulator will gather the supplies, instruments, and equipment for the next case. Sometimes we get lucky and there is a float crew who have already gathered these things together for us. We double-check everything after we bring the supplies, instruments, and equipment into the room. The video above shows all the different places we may have to visit to get ready for our case. 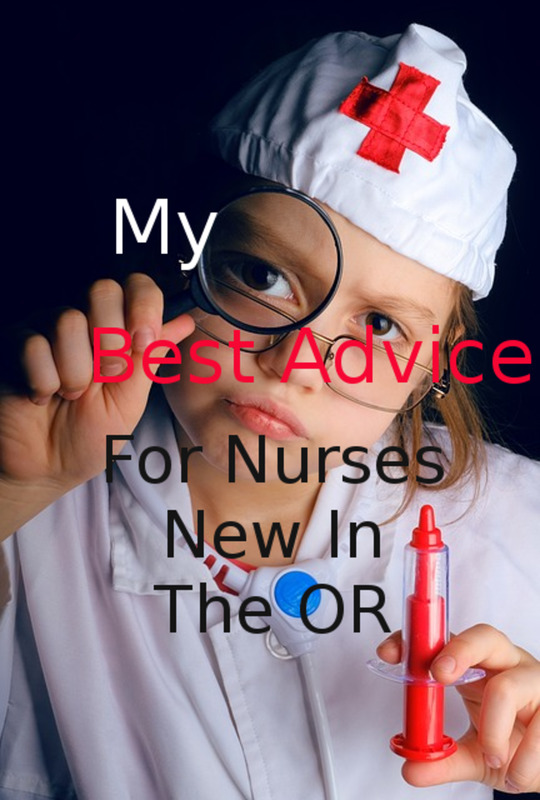 The circulating nurse needs to know where to find everything shown. Sometimes I find it amazing how much I can remember. From lights to microscopes, the circulator knows them all. All equipment needed for the surgery has to be brought into the room. We have many different pieces of equipment. There is the electocautery unit which is used for most procedure. We may need a special bed or positioning supplies. We may need the monitors for cases using a "camera". Miscellaneous machines used for bipolar cautery, machines to run the cameras, pumps for fluids, and more. All of this equipment needs to be checked to ensure it is working correctly before the patient is brought to the room. This can be quite time consuming, especially if something is not working and needs some troubleshooting. The OR nurse's number one troubleshooting technique is to turn the malfunctioning item off and on. Surprisingly, this works the majority of the time. In the video below, the gentleman reviews some of the equipment needed for surgery. It is very nicely done. These "cards" tell you many things you need to know. These pages are called "cards" because they were written on index cards before the days of computers. The card will list all items needed for the surgery. 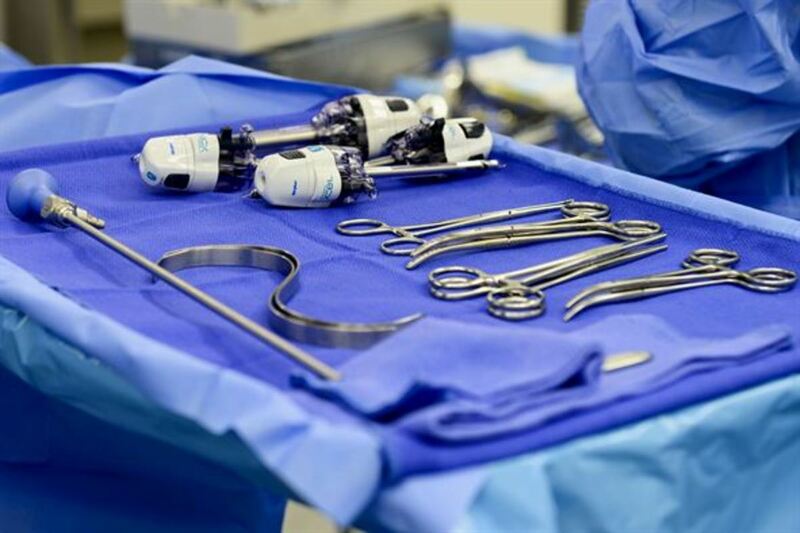 It will list items you may need to have on standby; equipment that you will need; settings for said equipment; the surgeon's preference regarding preps. The card should have all the information necessary to set up for the case. Make sure to read the card! Many facilities use these sheets as the charge cards also. It is very important to keep the cards current. Implants may change. Surgeons may learn a new way to do things, requiring different instrumentation. The surgeon may well tell you to change the card, because he "always does it this way". You set others up when you do not keep the cards current. Some surgeons will try to change their cards every procedure. I once worked with an orthopedic surgeon who had me change his card in five consecutive cases. When he yelled and told me to change his card a sixth time, I told him he would have to keep his card for one week before I would change it again. It worked and he stopped asking me to change it. The mayo stand will hold the necessary instrumentation for the surgery. We then proceed to "open" the case. First we need to create a sterile field where we can open sterile supplies. A sterile tablecloth, or a pack containing one, is opened on the back table. (The back table is the table the scrub personnel use to set up all the supplies and instruments.) We try to open in a logical order. The scrub personnel will need to make this mess into a coherent whole. Not always the easiest job, but miraculously they get it done. Instruments are either wrapped in outer sheets or in hard cases. The sheets are not sterile on the outside, but are sterile inside. The same is true with the hard cases. Often, instruments are opened on a "mayo" stand. This is a small table with two legs and long feet on wheels. This mayo stand will eventually hold the most necessary instruments for the surgery. It is wheeled so the table is over the patient during the surgery. The video below shows some of the items opened and explains a little on sterile technique. Next we count all the "sponges". Regular people know these "sponges" as the cloth dressings that cover the wound. The main difference is our sponges come with a radio-opaque strip so they can be seen under x-ray if needed. We count all the needles. Anything that is small enough to be left in the surgical wound will be counted. These may be electrocautery tips or anti-fog liquid and sponge. Depending on the surgery, we may count all the instruments also. For a large surgery, this can take some time. When the scrub personnel has made some order out of the chaos of the back table, we will give them any medications and fluids needed in the surgery. Fluids usually consist of a saline solution that is isotonic to the body's fluids. At this point we are ready to bring the patient into the room. The nurse leaves to get the patient while the scrubbed personnel continue to "set-up" (make order out of chaos) the table and mayo stand. Below is a good video of a count being done. The Circulator's Role in the "Time Out"
I like the facilities that have anesthesia providers help push the patient to the room. Some facilities will have you push the patient by yourself. This is very bad for your back, so try to find some help. While going to the OR room, keep the conversation light and cheerful. As you enter the room, introduce the patient to all other team members. Always focus on the patient. Explain everything you are doing. Although you have explained this in the holding area, you cannot expect the patient to remember. Always stay with the patient until they are asleep. Be prepared to help the anesthesia provider with the intubation. Only leave the bedside after the patient is intubated and the anesthesia provider is satisfied. The surgical time-out can be compared to a pilot's checklist. The time-out is a checklist ensuring everyone knows the plan and is ready for it. The time-out needs to be done before each and every surgery. First, everyone in the room needs to stop what they are doing and pay attention. At times it is hard to get everyone's attention. Other times everyone is ready and waiting on you. We introduce everyone in the room and tell their role. Next we verify the patient's identity, making sure the paperwork and wristband match. We review the patients allergies and special needs. We confirm which pre-operative antibiotic has been given. The circulator will read the consent to make sure everyone agrees on the procedure. We verify that the correct side/site has been marked by the surgeon. We confirm we have the correct implants, positioning aids, special equipment needed. We discuss how the patient is to be positioned. The surgical team will also discuss how specimen are to be handled. The time-out is a very important part of patient advocacy. We are protecting our patients when we ensure that everyone has the same plan and is on the same page. Just as a pilot is expected to use the checklist every time so nothing is missed, so the circulator needs to follow the hospital's procedure every time. We may think we know it, and we do, but sometimes little things can be overlooked. This is why it is so important to have a checklist to read. The video below shows a time-out being done. It is a good example. Does your facility routinely provide the circulating nurse help pushing the bed or stretcher? Does your facility have a time out checklist that is used on every case? After the time-out, the circulator goes into action. The nurse must first "prep" the patient. Prepping is the cleaning of the surgical site to prevent infection. The circulator may need to clip the area if the hair is long. I have worked with surgeons who prefer that no hair is clipped. Be sure to know your surgeon's preference. At times, you may need help holding a limb or two. You should have planned accordingly while setting up the room, asking for help if it is not normally available. With few exceptions, we will prep beginning at incision and moving outward. The area prepped needs to be large enough to accommodate the opening in the drapes plus a few inches more to each side. Some preps have an alcohol base. As a patient advocate, the circulator ensures that the prep is dry and has not pooled around the patient prior to the drapes being placed. Alcohol preps are a fire hazard. I have seen the prep catch fire when the electrocautery was applied. Luckily, it was just what had pooled in the belly button, there was a small flash, and that was all. Above is a video on showing a standard iodophor scrub and paint. Below is a video showing a standard iodophor/alcohol applicator prep. During the surgery, the circulator's responsibilities are to deal with all non-sterile activities. We will open any additional instruments or supplies needed. We run and get necessary items that are not in the room. We also run and obtain anything the anesthesia provider needs. We are called circulators because we never sit still. Observing and maintaining the sterile field is an important responsibility for the circulator. It is up to us to make sure everyone at the sterile field is moving correctly and not contaminating themselves or others. We also observe the surgery to help anticipate needs. It is better to be watching and already moving when something is needed, rather than sitting reading a magazine. Circulators are also the record keepers for the facility. We need to document all activity during the surgery. We document equipment settings, implants put in or taken out, specimen, how the patient is positioned, what positioning aids were used, and the list goes on and on. The video below is a training video showing one task of a circulator. The gentleman speaking does hit on some other topics that are good to know. At the end of surgery, we count all items again. If the count is incorrect we need to inform the surgeon and find the missing items. I cannot stress how important this is. Sometimes during an emergencies, we may not have time to count. We will take an X-ray at the end of surgery to ensure nothing is left inside the patient. Once the counts are correct and the dressing is on, we will remove the drapes (the sterile coverings) and clean the patient. The anesthesia provider may or may not extubate the patient. At times, they prefer to extubate in the PACU (recovery room). When we arrive in PACU, the circulator will report to the nurse there. At this point, the patient is usually too groggy to answer questions for themselves. The patient's name and allergies are given and double checked with the name band. Circulators tell the PACU nurse the surgery and site, what medications and/or blood given, and check the dressings at the incision site, to name a few things. Many facilities now have a hand-off checklist. I think this increases patient safety. Circulators are very busy people with many things going through their minds. A checklist ensures that no pertinent information is missed. Does your facility provide a checklist to use during hand-off to PACU? 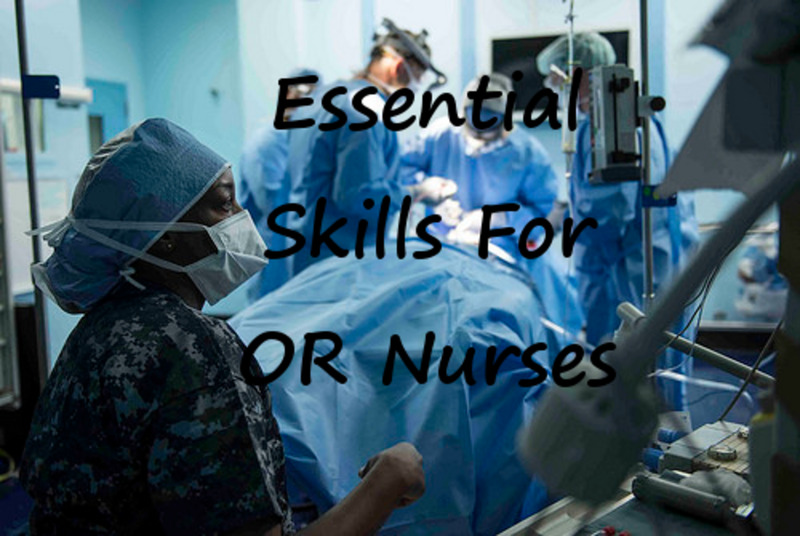 I am going to go over a few of the skills you will need as a circulating nurse in the operating room. First, you must be extremely efficient. Being efficient includes the ability to prioritize wisely and use critical thinking. Surgeons will ask you for several items at once during surgery. The first item they name always seems (to me) to be the one they need the least. Sift through this laundry list to ensure you bring the most critical items first. Circulators need high energy. Nothing you do will ever be fast enough for the surgeons. Everything is needed now, not 30 seconds from now. Rooms need turning over. Supplies, equipment and instruments obtained. Circulators hit the ground running the moment they arrive on the floor. The running does not stop until their shift is done. Rhinoceros-thick skin is necessary for circulating nurses. Almost everything that is not perfect will be blamed on circulators. I had a surgeon call my team and I, "the stupidest people on the face of the entire earth!". I have been on the receiving end of a list of swears that would make a sailor blush. And, as a circulator, you have to just let it go. Water off a duck's back. Circulators need titanium spines. Confrontation skills and the ability to stand up for our patients and ourselves is critical. Remember that tirade you let go during the surgery. It is essential to confront the doctor after. You also must be able to stand your ground, politely, while the surgeon is yelling. When it is a matter of patient advocacy, you can never back down. Circulators must be curious with an excellent memory. We remember when we see something out of place so we can put it away correctly later. We like a place for everything, and everything in it's place. But, at times, items get misplaced. 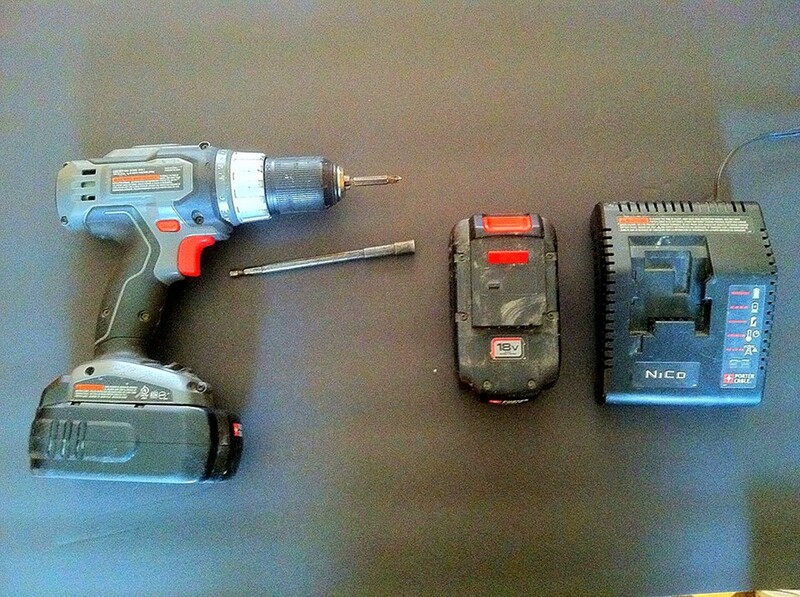 You will usually see these misplaced items while you are running to get a surgeon something. It pays to remember later and put it away correctly. Loving a challenge and thinking outside the box are essential circulating skills. At times you may need to think up a new way to use some instrument or equipment. Time is crucial in the operating room, and anything we can do to decrease anesthesia time helps the patient. Multi-tasking is another important circulator skill. It seems we are always doing three things at once. Circulators are multi-talented. 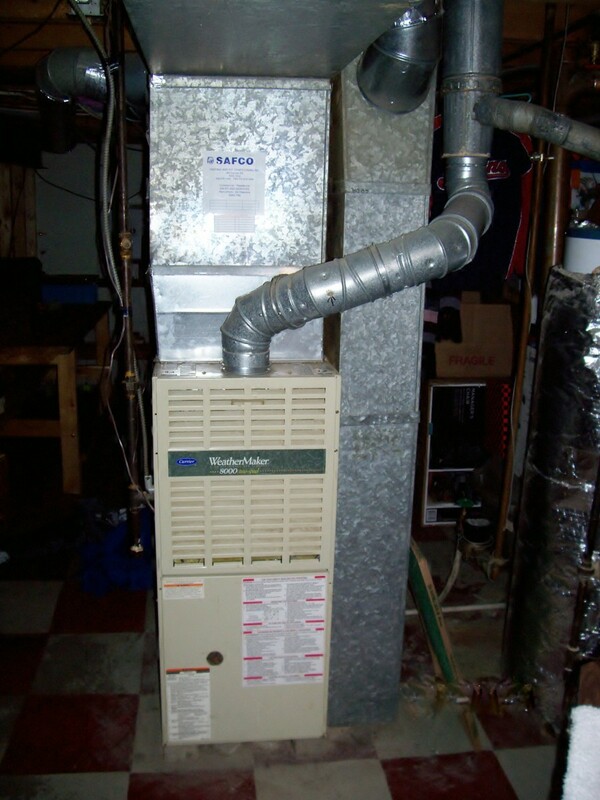 With all the equipment circulators work with, good technical skills are demanded. We need to troubleshoot equipment every time something is not working correctly. Remember our main troubleshooting action is turn it off and turn it on. Circulators are active learners. We love change and are very adaptable. I can not imagine (or remember) a day as a circulator that I did not learn something new. Equipment and instrumentation are always changing. New techniques are always being introduced. As a circulator you will learn every day. I hope you enjoyed this look into a circulator's life. I have not hit every thing the circulator does, just the most important parts. We also do continuous quality improvement, inservice training, and just about any odd job that needs to be done while we are not in active surgeries. Being a circulating nurse in an operating room takes a certain temperament. You have to be as strong as bedrock and as bendable as a straw. Adaptability is crucial. Everything is always changing in the operating room. But, if you have the temperament, you will find it is the best job in the world. Operating room nurses are a special breed. We love our jobs. When retrieving something from the supply room, what is the acceptable amount of time for a nurse to be out of the operating room? If you ask a surgeon, the answer would be no amount of time is acceptable. They might say "You should have anticipated the need for this item I have never used and had it available." I would say 30 seconds to one minute is acceptable, but that all depends on the set up of your OR suite. Sometimes it can take five to 10 minutes to retrieve an item. My answer is the least amount of time you can spare is acceptable. Sometimes it helps to check back into the room or send someone to tell them what the hold up is. 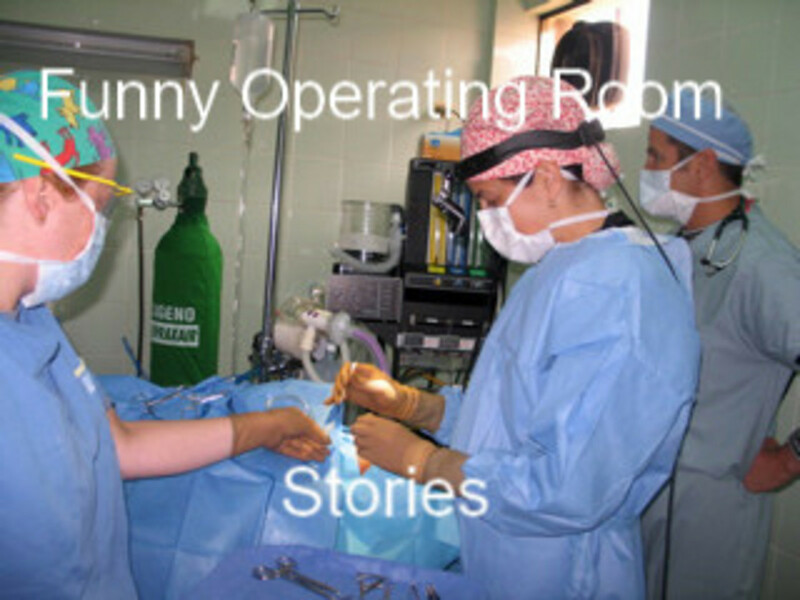 What Do Nurses Do in the Operating Room? How about mind reader, traffic control officer, marathoner, photographer of specimens and body parts, DJ, call resident phone checker, student nurse/med student fall preventer? Also, message retriever and giver(also liaison between surgeon and S.O. what time he’ll be home and his dinner is in the oven)? Hi Josh, circulating nursing requires a registered nurse degree. Does this job require a nursing degree? Thank you so very much! I'm glad you enjoyed it. Belinda, I did not mean to imply anything else. The nurse and tech are devastated when this happens. Without the care and concern of the team it would happen more often. Every item that is left behind was left with a "correct count"! As a Surgical nurse of 36+ years, I can truly say that we are absolutely manic about counting. we NEVER leave a room with a patient with a wrong count. We WILL find the needle/lap/raytec/instrument! Frequently x-rays are used, in our Open heart rooms the counts are done and are verified by x-ray BEFORE we take our patients to CVICU. I have never had a case where we left something in a patient, but I have co-workers who have and it is devastating because that means that either/both the RN or the Surgical Tech made a mistake. We are diligent about protecting our patients! It is actually quite easy for a sponge to be left behind and I am surprised you don't hear of it more often. The cause is a miscount. Usually they happen when the surgeon is irritable and rushing. I'm very sorry to hear this happened to your aunt. Sometimes the staff gets flustered when they are being rushed. There is no excuse and I'm sorry for your aunt. Buster, I am very sorry this happened to you. I feel the circulator should have covered you, but the OR is a team job. Anesthesia or the surgeon should have covered you when the circulator did not. Your reasoning behind this is probably correct. It upsets me that anesthesia was not more proactive. You should have been sedated before the foley, but that is just my opinion. You also could have asked for covering. Again, i am sorry this happened. My aunt (god bless her sole) had a sponge left in her abdomen 3 month ago and only last week was it found (Modesto, Ca hospital). How can this happen? Very interesting article enjoyed it. I also worked in the nursing field and really enjoyed it, never thought of it as work. Was non-stop but it was a wonderful field. Quite comprehensive about the activities in the operating room and specifically about the circulator's duties. Thanks for the information and thanks to all the personnel in all the operating rooms. I'm sorry I'm late. I'm not accustomed yet to seeing your name and making the association, but I will be soon. As always an interesting article. I like learning about medicine and medical procedures from someone who has actually been there and done it....walking the talk is important to me, so thanks for the information. Informative Hub and quite useful for the layman to know. A decent look into how the Operating Room functions. Nikki, Thank you for reading and taking time to comment. I really appreciate it. Kimberly, That's wonderful to hear, especially coming from a Peri-Operative Educator. Thank you! Interesting article,,very useful information.Thanks for sharing dear. I admire the medical, technical and organizational skills, of nurses but to add to that-- your social, interpersonal apptitude is outstanding. The doctor's verbal abuse didn't get in the way of your patient care, but you also held him accountable. The world would be a better place if more of us were nurses. I originally read this because you asked for some editing hints-- but it was so interesting I didn't even look for punctuation, dangling modifers or Oxford commas . Thank you, Jo! Yes, we get overworked at times, but most nurses love their jobs. You are amazing, Kari. Not everyone can do this work. In my experiences with hospitals I always think the nurses look overworked. Now I understand why. Mary, It is amazing how little the public, or even others in a hospital, know about what goes on in the operating room. Many nurses will comment on how little patient care is done in the OR. The truth is everything we do is for the patient. Thank you for taking time to read and comment. Nell, Thank you so much! I had never heard of a circulator. It's shocking to think how little the public knows about what goes on in there. Unfortunately, the media will jump on a story when things go wrong. We need more information such as this article to explain the individuals' roles. Your example of how the nurses pulled together to get that woman and her son home and fed is inspiring. Nurses really are unsung heroes. That was amazing Kari! you guys are all heroes as far as I am concerned! great details and explanations, wonderful info! This is a very detailed and impressive article, Kari! Thank you for sharing such interesting and educational information. Jackie, I do not know how that could happen. If they took it from your hip, it means it was probably what the operation was about was getting it into the spine. Not every surgeon is excellent at what he/she does. Not every OR crew is quite as exacting as I expect people to be. I may be able to guess if I had more information. But without being there, I could not explain this. I'm sorry if that happened to you. What did the surgeon say about it? FlourishAnyway, I have noticed that the new surgeons have more respect for the nurses. They are more aware of what makes for a hostile environment. I put it down to a change in their training. The OR may be even better once the older guys all retire, lol. How could it possibly happen that with all these people in the operating room a surgeon could forget to put the bone he took from your hip into your cervical spine? With the egos of surgeons, have you seen any changes in how nurses are treated over the years? Are most of them like this? Not the career for most people to take sure belittling and just keep plugging.